Getting to Kigali wasn't exactly quick or straightforward. My flight left from Prague in the morning so I had to find somewhere to stay overnight; my former student Jakub, bless him, put me up at his home in a village outside Prague after treating me to a few beers in the city. The next morning I had to get up at 5am and walk to the railway station in a raging thunderstorm, catch a train, then a tram, then the metro and finally a bus to get to the airport. 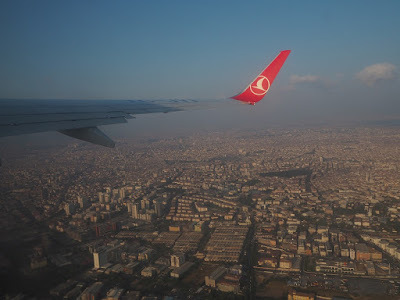 The first flight to Istanbul took less than two hours but then I had to hang around for five. The only sign of last week's coup attempt was the even greater than usual number of Turkish flags hanging everywhere. The flight to Kigali was delayed but eventually landed about 12.30am; getting a visa and helping the taxi driver find my guest house (luckily I'd downloaded a map of Kigali before I left Prague) took another hour, so it was almost 2am before I got to bed. Phew. The way back promises to be even longer because it includes a landing in Entebbe, Uganda. I managed to snag window seat for both legs. 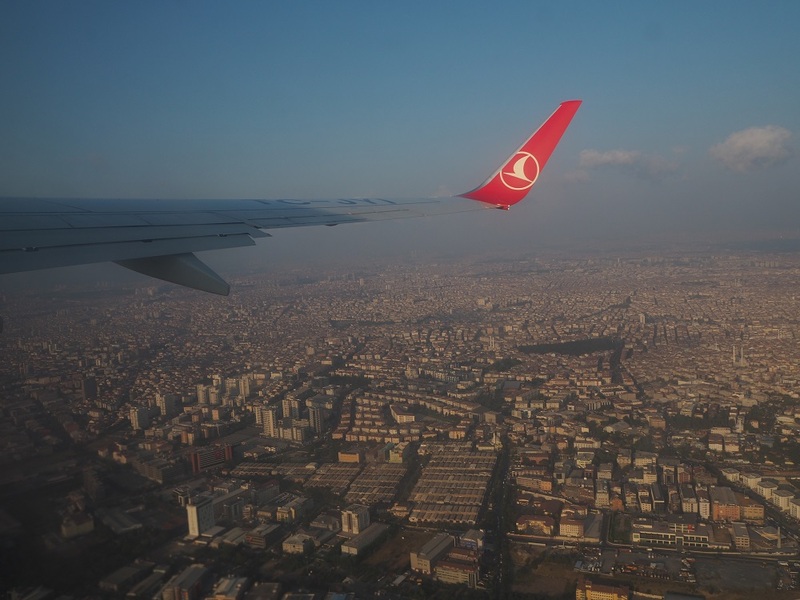 The photo was taken during take-off from Istanbul.